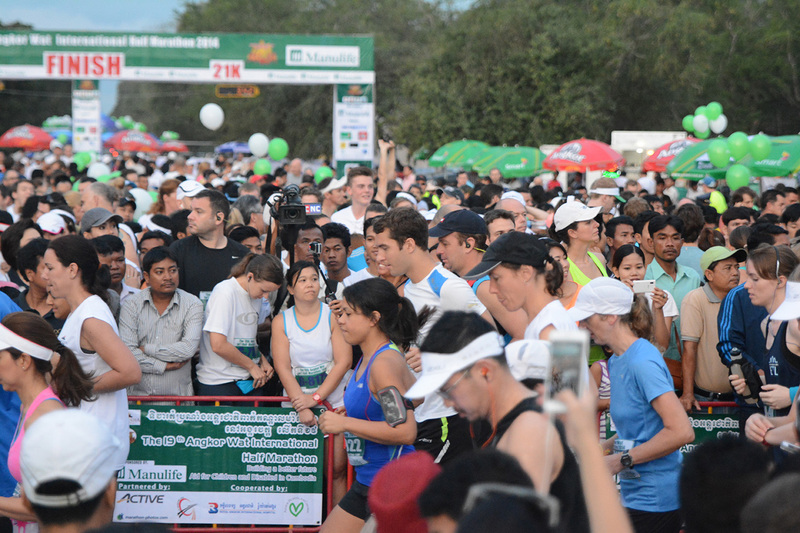 Top 3 Reasons to Run the Angkor Wat International Half Marathon 2015 | JustRunLah! The 20th Angkor Wat International Half Marathon 2015 (AWHM) is a world-bucket list and must-do race for runners all over the world. 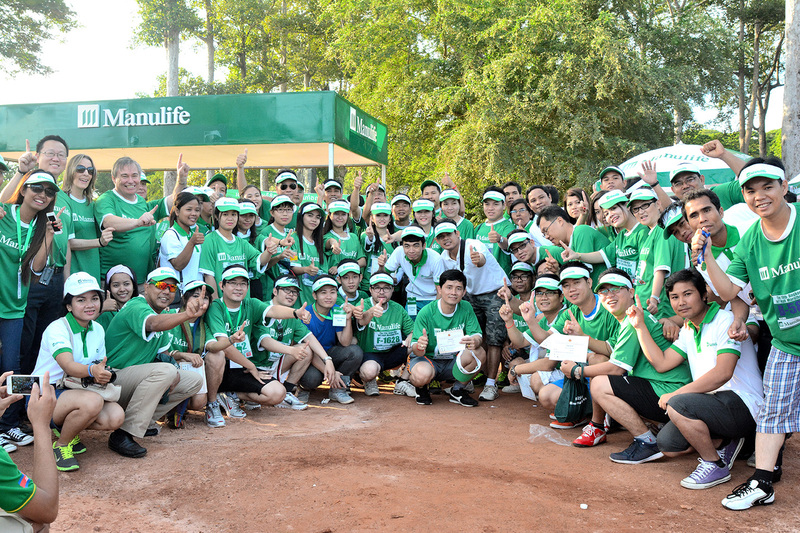 Manulife – one of the world’s leading life insurance companies, is the principal sponsor for this year’s AWHM, which will be taking place on 6 December 2015 at the majestic Angkor Wat of Cambodia – the largest religious monument in the world. Spanning across a total area of 400 square kilometres, including forested areas, Angkor is one of the most prominent and significant archaeological sites of Southeast Asia. It was built in the 12th century by Khmer King Suryavarman in the capital of Khmer Empire, which gradually transformed from a Hindu to Buddhist temple towards the end of the 12th century. The architecture and layout of the successive capitals bear witness to a high level of social order and ranking within the Khmer Empire. 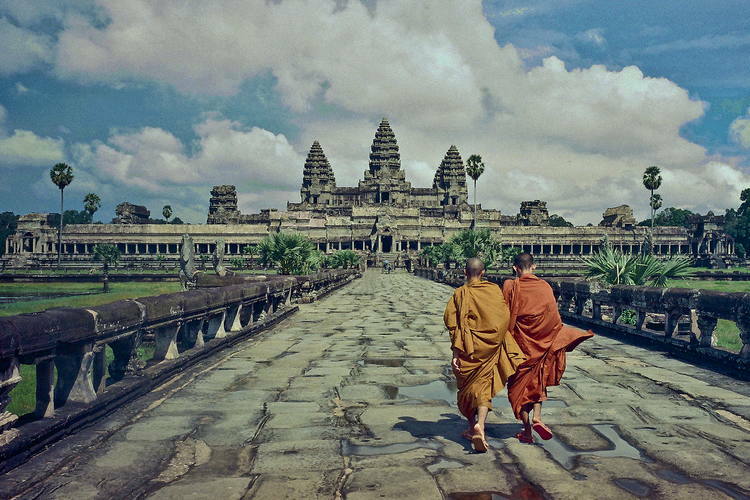 Angkor is therefore a major site exemplifying cultural, religious and symbolic values, as well as containing high architectural, archaeological and artistic significance (Source: UNESCO). Angkor Wat is the best-preserved temple of the entire temple complex, largest religious monument in the world and is ranked at the top of the high classical style of Khmer architecture. The Cambodia national flag bears a symbol of the Angkor Wat and has been the top destination for visitors to Cambodia, ranked Number One by TripAdvisor’s 2015 Travelers’ Choice Award in June. Last year, AWHM 2014 saw around 8,000 runners flying in from 78 countries to participate in this world bucket-list race event. There is simply no other race in the world that offers the same adrenaline rush, amazing opportunity of exploration of ancient ruins and interaction with so many runners! Since 1996, the AWHM races have been the most popular sports event in Cambodia, known for its exhilarating and breath-taking race course amongst the majestic monuments of Angkor Wat, as well as the meaningful causes it supports for the Cambodian society and people. As the saying goes, “Strangers at starting line, buddies at finishing line” – Such global event creates valuable opportunities for runners to meet new running buddies, forge meaningful friendships and create unforgettable race memories together. Not to forget, the coolest months of the year in Siem Reap are December and January, in between the dry period of November to March with minimal rainfall. At nightfall, temperatures can go down to sub-20 degrees Celsius and reach a maximum heat of 30 degree Celsius in daytime. 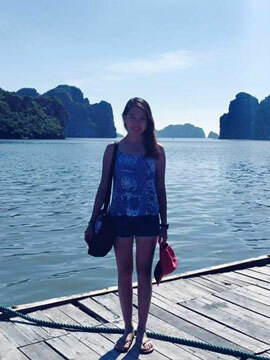 As such, December is one of the most popular months to visit Cambodia, and the perfect season to run a race! 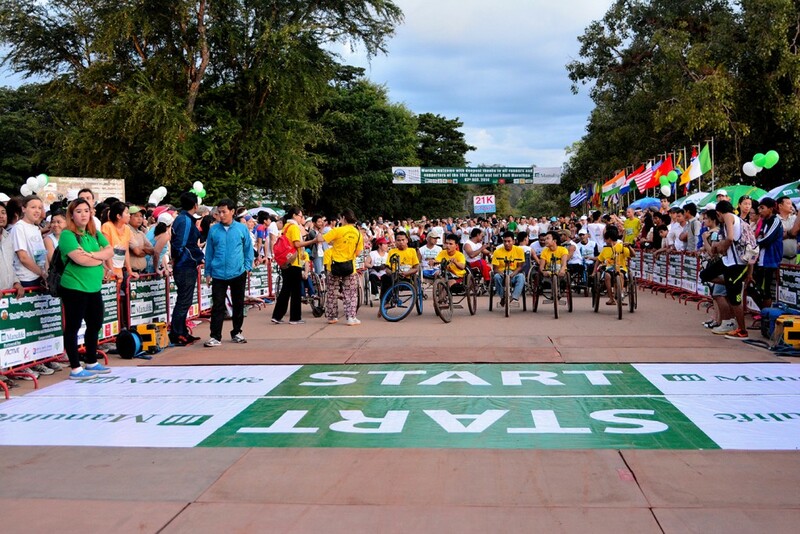 Every year, runners around the world fly to Siem Reap, Cambodia to participate in the Angkor Wat International Half Marathon to show their support for landmine victims by giving them courage, hope and raise awareness of their cause on banning the use of antipersonnel mines. Many landmine victims also personally participate in the race to inspire their fellow people and appeal to the world to support their cause. Entry fees and additional financial support foster independence among landmine victims by helping to provide prosthetic limbs, social reintegration programs, and supporting other relevant and needed programs such as education and prevention of HIV/AIDS. In addition, the funds raised by the event also help support organizations including the Kantha Bopha Children’s Hospital and the Angkor Hospital for Children and the Cambodian Red Cross. Choose from 3 race distances of 3km, 10km and 21km (half-marathon) and participate in the wide variety of race categories including families, runners with prosthetic limbs, wheel chair and fellow road runners. 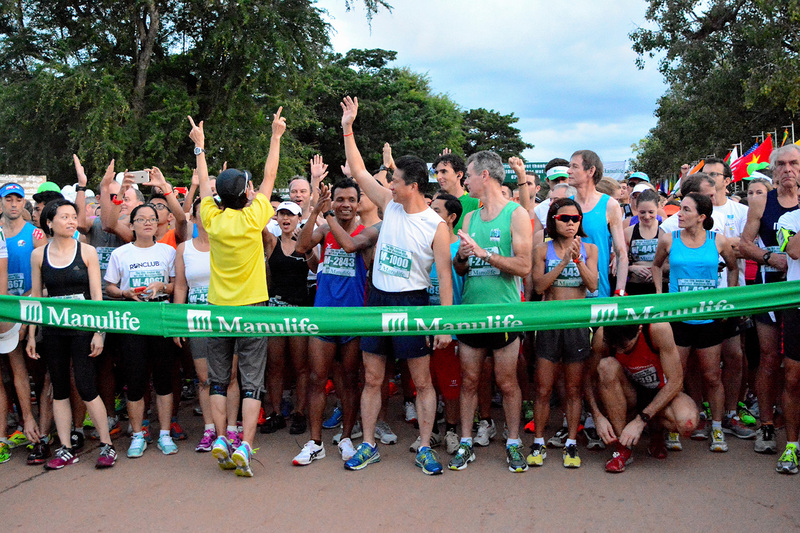 #RunWithManulife in the Angkor Wat International Half Marathon 2015 for good health, a great cause and an awesome race! Make your bucket-list dream race come true by registering for the Angkor Wat International Half Marathon 2015 here!